One of the most candid and respected Buccaneers in recent years was Earnest Graham. And over the years Graham delivered his most open interviews with J.P. Peterson, of 1010 AM. The two co-hosted The Earnest Graham Show in 2009 & 2010, (there may have been earlier years) and it was there that Graham had no problem saying he thought 30 percent of the NFL was using HGH, a story that went national back in ’09. Yesterday evening brought another one of those candid Graham chat sessions with Peterson. Graham said the unraveling of the Bucs was “not because veteran guys didn’t speak up” or that there weren’t enough veterans. Graham didn’t elaborate with a lot of detail but said coaches didn’t back up those veterans looking to right the ship. Interestingly, Peterson mentioned to Graham that the Bucs collapsed in London after he was hurt during that game, and Graham responded citing the loss of Gerald McCoy “as a young leader” as a major turning point in the team’s collapse. Joe found that intriguing considering Ronde Barber previously pegged the season-ending injury to McCoy as one that doomed the defense. So it seems that McCoy was an impact leader on multiple fronts, per Barber and Graham. 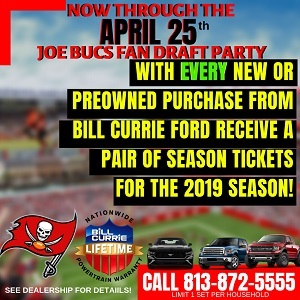 Graham said he doesn’t know Greg Schiano at all, but regarding Schiano’s attention to details, Graham said that was absent when the Bucs needed it last season. “We didn’t have them down the stretch when we got tired,” Graham said. For Joe, Graham asssigning more blame on 2011 coaches than players — not absolving players — is significant because Joe knows Graham woudn’t hesitate to call it the other way if that’s what he believed. Barber, for instance, said the Bucs got Raheem fired. Joe’s not calling Barber a liar, just pointing out the perspective of two respected players. Joe hopes the coaches were at the root of the Bucs’ collapse from a 4-2 record. That would bring more hope for a big rebound under the New Schiano Order. Joe will deliver more from Graham’s interview through the weekend. I believe it was supposed to read, “per Barber and Graham.” Right? What does Graham know??? 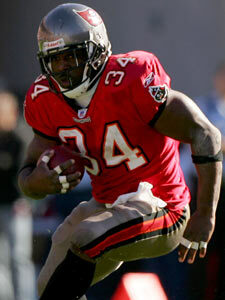 This guy is just a pro football player who happened to be on the Bucs. I still think Thomas 2.2 knows more about McCoy and his impact on the defense. After all…he has demonstrated to all of us his ability to be objective…. I’m sorry, but it sounds like yet another player avoiding responsibility. The coaches certainly earned their part of the blame but the if the veterans even needed backup it means the other younger players were causing issues. The proof that Grahm is right on the loss of McCoy leading to a collapse on defense, is that the Bucs went out in the offseason and signed not one, but TWO guys as insurance. The drop-off from McCoy to…..Frank Okam? Roy Miller? Any other clowns, was steeeep. And some folks might chastise him for what he says, but the man is a leader on a very young DL. Without McCoy, this line is in trouble, plain and simple. All indicative of Raheem’s failure as a leader. Whatever happened to no excuses no explanations. Reminds me of clayton complaining of being in grus dog house. Gru should have burned that house down. Ive heard enough excuses thank you. I agree Eric, but it’s different because Graham is no longer on the team. I would have a problem with this statement if he were, but unfortunately it looks as if his career is over. Retired players tend to be much more honest about things, because they really have nothing to lose. I, for one, like to hear the truth, even if it makes me look like an idiot for thinking Raheem was taking us to the Super Bowl. Looks like I was wrong on that one. Collective organizational failure at every single level. Owners would’nt spend, high draft picks failed to contribute, coaches did’nt coach, players quit playing. On the bright side, the utter humiliation this franchise endured has led to some positive changes. On paper at least. It’s time to win some football games. Graham will ending up in the coaching ranks, most likely college. And with the same professionalism he displayed while playing the game, I believe he will be very successful when he retires from the game and pursue’s that next challenge. I believe the loss of Graham had a huge impact on Freeman. Graham was Freeman’s goto guy when all receivers were covered. Freeman would dump it off to Graham for short positive yards when he was hurried or all others were covered. After the loss of Graham Freeman had almost no one to help pick up blitzes in the backfield. Which led to allot of forced throws to Winslow into double coverage sometimes or with zero seperation. Leading too many of the Int’s? I believe the loss of Graham contributed quite a bit to Freeman’s bad season last year. Not that the loss of Graham was the biggest factor in last years collapse. But it definitely had an impact. I don’t think the loss of Graham hurt us at all. Letting Caddy go certainly did. A lot of Freeman’s 2010 passing game was due in part to Caddy’s superior blocking. If only all players were more honest after retiring. Some never accept responsibility and fail to see the truth. And no one player knows everything about a team. Earnest is right, the coaches lost the respect of the team. Pete is correct, the loss of Caddy hurt us. If ever there was a player that needed to shut his effin mouth, its Drew Brees. He has totally bashed the league and Goodell and he deserves a big suspension for it, because. If players or coaches criticize the refs or calls made on the field they get fines. Drew Brees has been publicly bashing the NFL, along with other Saints for the past couple of months. I don’t care if they are innocent or guilty of the bounties, but bashing your employer publicly, and on the Letterman show is way out of line to me. If my employees ever publicly did that to me, I’d fire them immediately, union or not. I’d rather pay the lawyers and make an example of them. What really makes it bad to me is that POS, Tom Benson allows them to get away with it. As an NFL owner he should first and foremost protect the Shield and the Game. What the Saints players and coaches have done, and are now doing is bad for the game, and I think less of them than ever. I hated them before, but now….. I just can’t say it.